HARMAN’s Martin Professional introduced the MAC Quantum Wash and MAC Quantum Profile, the latest solution to provide brighter and more compact LED lights. The MAC Quantum Wash features tight beams, wash fields, a color palette and uniform mixing that combines to accommodate demanding applications with brightness. Combining a 750-watt of RGBW LED power with Martin’s optical system ensures Quantum’s 1:5 zoom operates with maximum output. The MAC Quantum Profile is a fully featured LED profile that sets new standards for combined performance, weight and size, and represents the latest in LED technology which in combination with Martin’s proprietary optical design delivers a crisp and bright output. 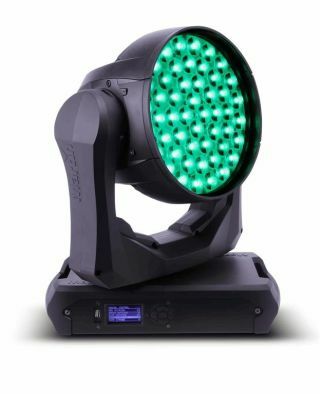 The MAC Quantum Profile is the first real alternative to a 700 watt HID fixture, with super high-speed movements and effects for a flat field, crisp image and high contrast. The MAC Quantum Series also offers compact form factor, easy handling, high-speed movements, low noise cooling and rugged construction. Martin’s combination of technologies animates expressive projection and aerial looks. The synthetic look of LED lights is removed from Quantum and the organic, analogue effect puts a beautiful “face” on the product.